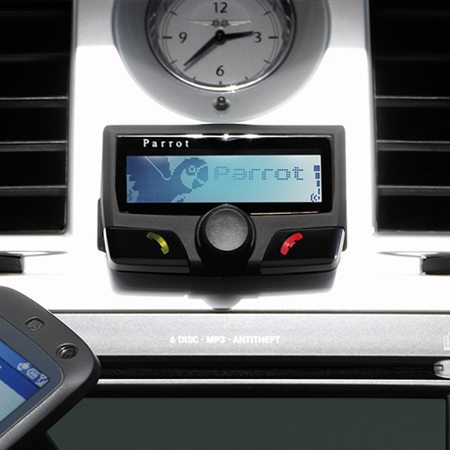 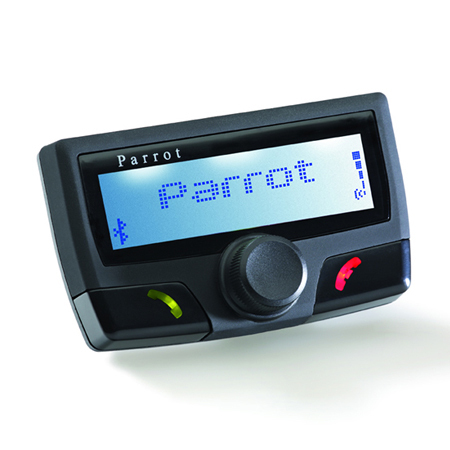 The Parrot hands free kit displays your mobile phone’s information on an LCD screen: incoming call number, phone book, last number called, and so on. 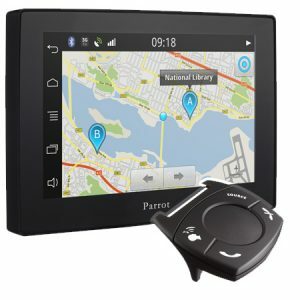 The ingenious screen can be installed wherever users want on the dashboard and provide an optimized viewing angle for greater comfort and readability. 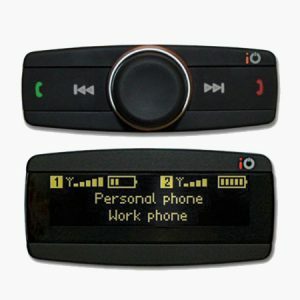 •	LCD screen displays standard mobile phone information: incoming calls, recent calls, missed calls, voice mail, directory, etc. 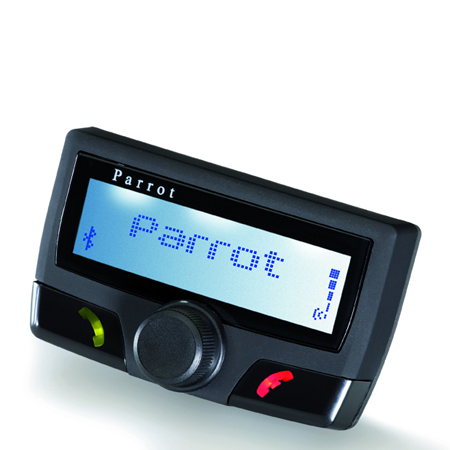 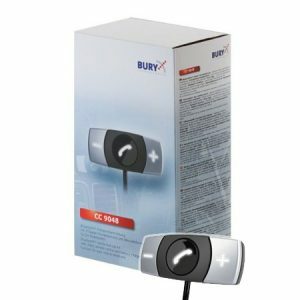 •	Hands-free, unidirectional microphone provides voice recognition dialing of up to 150 names, while reducing background noise and ambient echo. 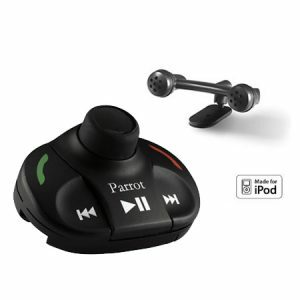 •	Browser button allows users to scroll through menus and control the volume.